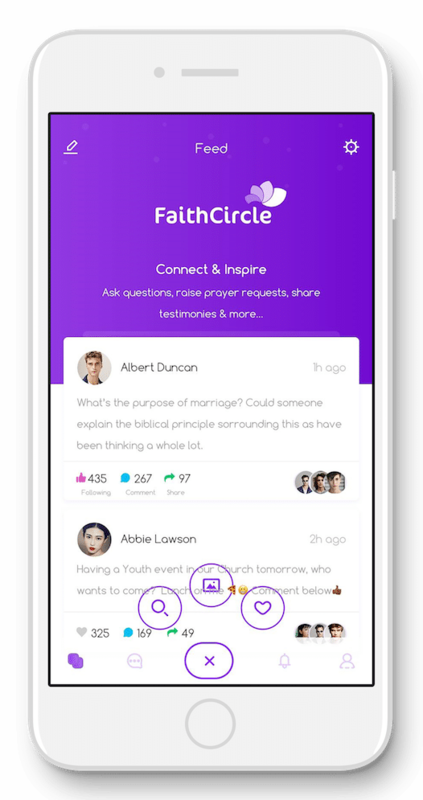 Join & interact with likeminded believers in your community & around the world via the FaithCircle app. Available on iOS and Android. Be part of your Faith-Oriented Social Network. With a difference. What can I do on FaithCircle? It's pretty easy to get started. 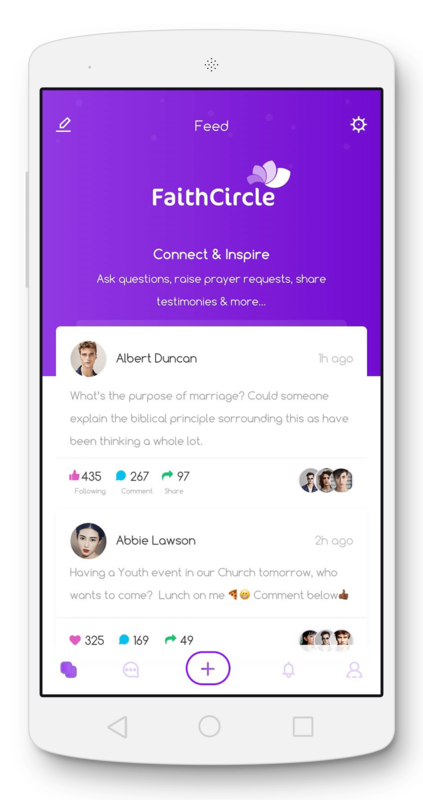 Have a look below why we think you'll find the FaithCircle app engaging. Easily interact with your local faith group as well as other believers around the world. Share things that matters to you with people that care and are willing to support one another in faith. 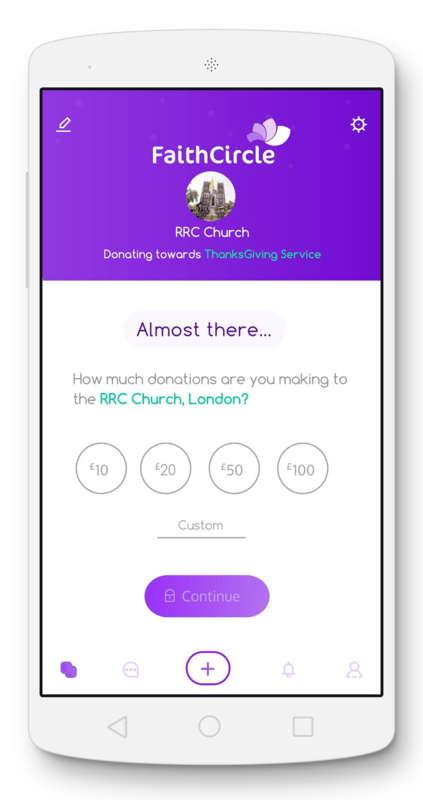 It's now so simple and seamless to give to your Church during service or whilst abroad. Donations take just 10 secs. Simply review your donations anytime, anywhere. Not only that, FaithCircle app shows you the tax incentives you're entitled to on your donations. 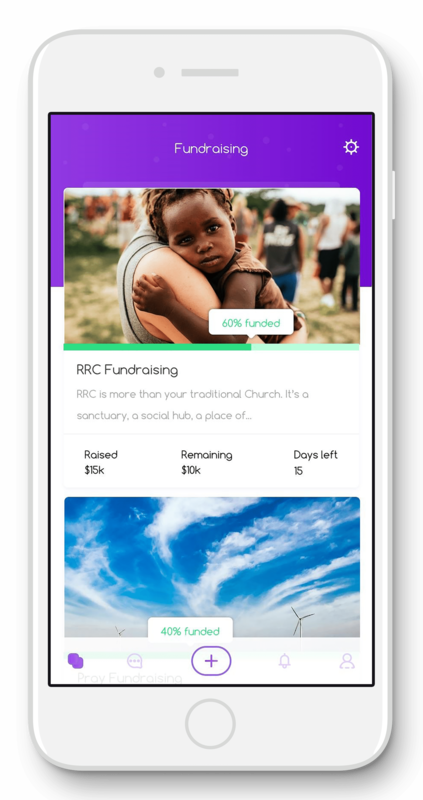 Easily review events around you in your local Church and RSVP. Invite friends to seat together all within the FaithCircle app. If you have any project or cause you're passionate about, now is a good time to put it out there and receive needed support.